The 10th Annual Charleston Music Festival will be held on Friday-Saturday, April 12-13, 2019 in the beautiful Performing Arts Center at the Charleston County School of the Arts. In addition to performing in one of the state's most prestigious halls, your band or orchestra will receive a beautiful wall plaque and rating trophy, recorded comments and a full, 30-minute, playing clinic from one of our nation's top adjudicators and clinicians. We are excited to announce that Bobby Lambert, Director of Bands at Wando HS and nationally recognized Student Leadership Clinician, will be returning to hold a Leadership Workshop for student leaders to be followed by a workshop for directors and parents. This workshop will be open to any group, regardless if they have an ensemble performing during the day. The Registration Fee of $75 is due by November 15. The fee increases to $100 after November 15. There is no guarantee of performance times after November 15. Priority scheduling is based on postmark of the received registration and deposit. Hotels, meals, and sightseeing activities are available upon request. Sightseeing activities include historic and ghost tours, harbor cruises, private BBQ dinner cruise, aquarium, museums, sporting events, local theater and ballet companies, beautiful beaches, and many wonderful restaurants that cater to large groups. Premium downtown or beach front hotels are also available. Call us at (803) 239-6595 for additional information. 5109 B W Enterprise St.
© 2019 Charleston Music Festival. All rights reserved. Dr. John N. Culvahouse recently retired as Professor of Music Education from Kennesaw State University. From 1991 until 2007, he served on the faculty at the University of Georgia, where he was a tenured Associate Professor and member of the Graduate Faculty. Prior to his appointment at UGA in 1991, Dr. Culvahouse taught in the public schools in South Carolina and Tennessee for 17 years, where he directed high school, middle school, and elementary school bands. He received the Bachelor and Master of Music Education degrees from the University of Tennessee and the Doctor of Musical Arts in Conducting from the University of South Carolina. Mentors and major professors include Stanley Barnes, WJ Julian, William J. Moody, and James Copenhaver. Dr. Culvahouse has served as a conductor, adjudicator, and clinician in several states, Canada, and Western Europe. Professional affiliations include the College Band Directors National Association (past Georgia State Chair), Georgia Music Educators Association, National Association for Music Education, East Tennessee School Band and Orchestra Association, Phi Mu Alpha Sinfonia (former Epsilon Lambda Chapter Advisor), Phi Beta Mu (Tennessee Chapter Past-President and South Carolina Past-Vice-President), Pi Kappa Lambda, Kappa Kappa Psi (Honorary), and National Band Association where he served on the Board of Directors on four occasions. As a long time NBA member, he conducted bands at the 1980, 1988, and 1994 conventions, including a 1988 performance by the Sumter, SC High School Symphonic Band. His NBA service began as Tennessee State Chair in the late 1970's, continued as an elected High School Representative, elected Representative At-Large, and Southern Division Chair. He served as President from 2009-2012. In 2014, he was elected to the membership of the American Bandmasters Association. Dr. Culvahouse was appointed Associate Conductor of Tara Winds Community Band in the fall of 2011. He serves on the Board of Directors of the John Philip Sousa Foundation. He is a Sudler Flag of Honor and Sudler Trophy Laureate. He was presented the coveted Orpheus Award by Phi Mu Alpha Sinfonia Fraternity in 2006 and the National Band Association has presented him the Citation of Excellence on six occasions. Cynthia Johnston Turner is in demand as a conductor, conducting and ensemble clinician, and speaker in the United States, Australia, Latin America, Europe, and Canada. Before her appointment at the Hodgson School at the University of Georgia, Cynthia was Director of Wind Ensembles at Cornell University. Earlier in her career Cynthia was a high school music educator, taught middle school beginning instrumental music in Toronto and choral music in Switzerland. She currently serves as a conductor with the Syracuse Society of New Music, the Austrian Festival Orchestra, and the Paris Lodron Ensemble in Salzburg. A Canadian, Cynthia completed her Bachelor of Music and Bachelor of Education degrees at Queens University and her Master of Music in music education and conducting at the University of Victoria. Touring with her ensembles inspired her master’s thesis on the musical and personal transformations that occur on tours, and her D.M.A. thesis at the Eastman School of Music centered on the music of William Kraft, one of this generation’s leading composers. At Eastman Cynthia was the recipient of the prestigious teaching award in conducting. She received the National Leadership in Education Award (Canada), the Excellence in Education Award (Ontario Secondary School Teachers Federation), and the Marion Drysdale Leadership Award (also from OSSTF). She is also the recipient of the Donald A. Reick Memorial Award for research with wearable technologies and music pedagogy, and the American Prize for innovative programming with wind bands. Scott Weiss is the Sarah Bolick Smith Distinguished Professor of Music at the University of South Carolina where he conducts the USC Wind Ensemble and teaches graduate conducting. Beginning in August 2017 he is also the Interim Conductor of the USC Symphony Orchestra. Equally at home leading both symphony orchestras and wind bands, Weiss maintains an active international conducting schedule, including recent concerts in China with many of that country’s leading professional symphony orchestras, including the Shenzhen Symphony Orchestra, the Hunan Symphony Orchestra, the Nanchang Philharmonic, the Shandong Symphony Orchestra, and the Inner Mongolia Symphony Orchestra. His 2017-18 schedule includes return engagements with the Inner-Mongolia and Hunan Symphony Orchestras, as well as his debut with the Sichuan Symphony Orchestra. A passionate advocate of contemporary music, Weiss has commissioned and premiered over 40 new works, and performances under his direction have won the praise of such notable composers as Joseph Schwantner, Samuel Adler, Karel Husa, Frank Ticheli, David Dzubay, and many others. He has recorded several CD’s of American music on the Naxos and Summit labels, including a 2013 release on the Naxos label featuring music by Leonard Bernstein. Hailed by critics as "scintillating," and "fresh and spontaneous," of this disc Barry Kilpatrick of American Record Guide proclaimed, "There are simply too many great moments to mention." Andrew Gowan is a native of Jackson, Tennessee. His experiences include successful teaching in the schools of Bolivar, TN, the Briarcrest Schools of Memphis, TN, and Lander University in Greenwood, SC. Dr. Gowan joined the School of Music faculty at the University of South Carolina in 1984 and has been involved with the marching and concert bands, music education and conducting classes, and woodwind instruction. He has served as a guest conductor, clinician and adjudicator of bands, orchestras, and choirs in more than a dozen states. His articles have appeared in the Instrumentalist and the Journal of Band Research, and his compositions and arrangements for woodwinds are published by Roncorp, Inc. As a professional saxophonist he has performed with such entertainers as Ray Charles, Lou Rawls, Johnny Mathis, Les Elgart, the Four Tops, and the Temptations. Dr. Gowan is presently serving as Executive Associate Dean and Director of Graduate Studies in the USC School of Music. Charleston, South Carolina was recently named the #1 tourist destination in the country by Travel & Leisure Magazine, and named by Conde Nast Traveler as the #1 city in the world. 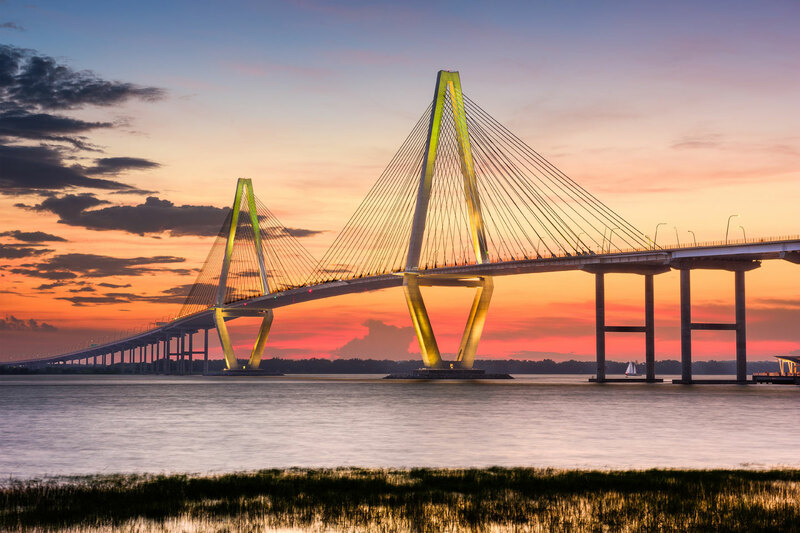 Full of traditional Southern charm and hospitality, Charleston is known for its outstanding architecture with numerous antebellum houses and other notable colonial structures. The Charleston Historic District contains almost 1,500 significant buildings, many of which are listed as landmarks on the National Register. 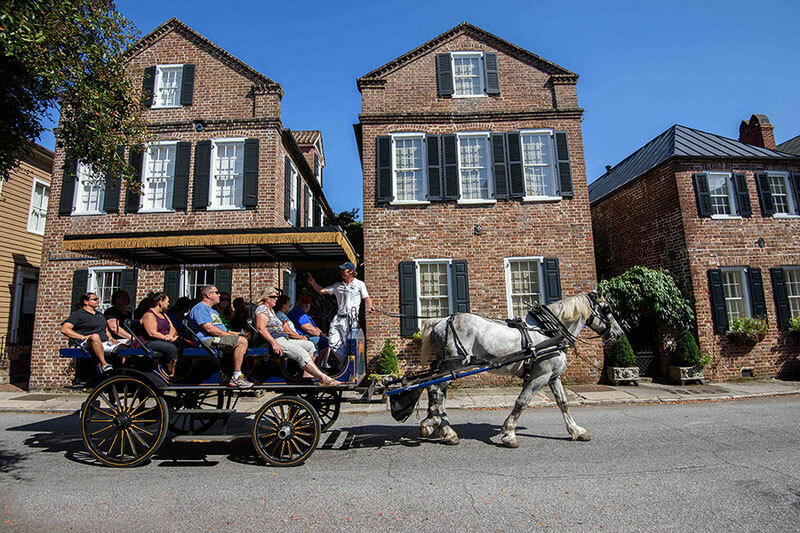 Founded in 1670, Charleston is home to countless charming streets full of history, guided tours, and a host of tourist attractions. 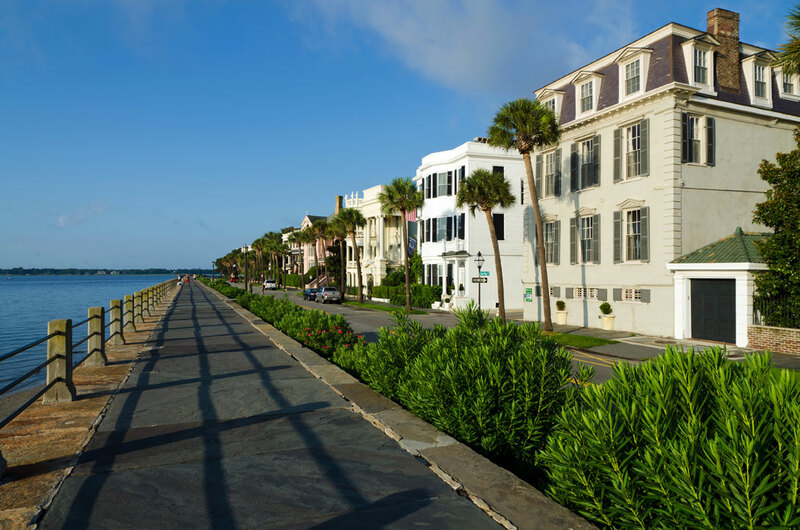 Nearby islands and beaches and a tropical climate make Charleston a particularly compelling city.